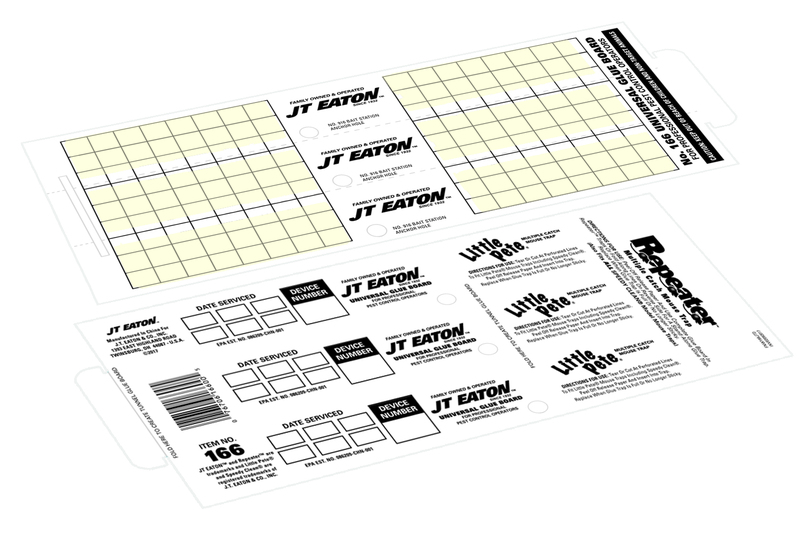 The perforated Universal Glue Boards fits in all standard size Repeater type multiple catch traps. 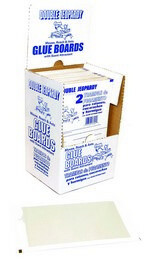 Banana-scented 8.5" x 5.25" glue boards. 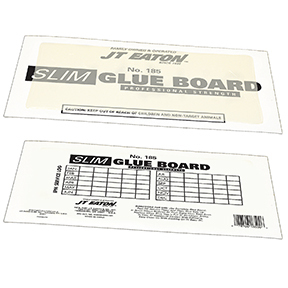 Perforated to tear 2 smaller boards of 4.25" x 5.25". 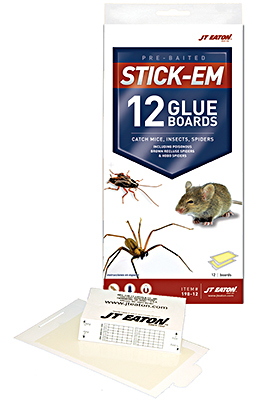 Large 11 11/6" x 5 1/2" glue board also catches mice and insects. 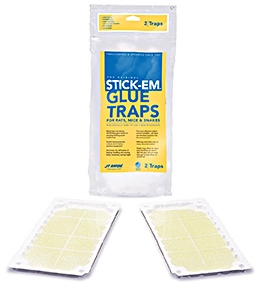 Folding Glue Boards with Artificial Peanut Butter Scent.